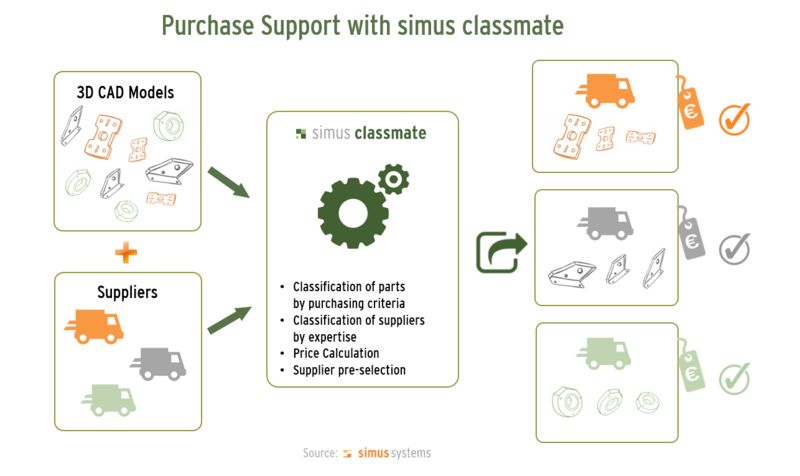 With simus classmate you save time and money when selecting and evaluating a supplier – manufactured parts are automatically allocated to the right suppliers. Manufactured parts are automatically allocated to the right supplier – the supplier evaluation can be performed much sooner. Similar parts, which have already been manufactured, are found in a matter of seconds. Anticipated procurement costs are calculated in advance – beneficial for price negotiations. Make-or-buy decisions are made easier, as production costs can be calculated based on solid numbers. Extremely fast similarity search to find an easy answer to the questions: Where have we ordered these before and what did it cost? More advantages for Design and Work Scheduling follow. MANZ AG uses simus classmate for automated supplier selection for purchasing technical equipment. You would like to discuss your individual needs? Which manufacturing processes can be supported best by which supplier? Which supplier has most experience with which special materials? Who can even work on parts with certain dimensions? Even though their ‘technical’ abilities can be added to suppliers, the selection of a supplier for defined manufacturing orders needs to be done manually by Purchasing. Purchasing therefore needs to know practical aspects of basic manufacturing conditions deciding for current components in order to be able to address the right supplier. simus classmate can support you in the evaluation of suppliers fast and efficiently. All CAD models are analyzed and evaluated by defined technical parameters by simus classmate in a matter of seconds – all-automatic and without taking any further manual action. In this process, measurements, finish quality, tolerances and materials are automatically determined and stored. With data from geometric analysis and elaborate algorithms, required technologies and basic conditions for manufacturing the respective parts are displayed, clustered in a special classification for Purchasing and productions parts are automatically matched with a known supplier. Additionally, the results of the detailed analysis are certainly of use to Design and Work Scheduling. But simus classmate can do even more: The software calculates the expected manufacturing costs simultaneously. Own manufacturing costs are calculated just as transparent purchasing costs after full and marginal costs, enabling a quick and well-informed make-or-buy decision. 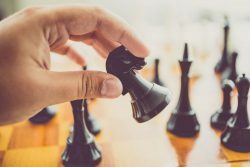 Not only does Purchasing receive valuable information about the expected purchasing price in advance, it is also an excellent basis for discussion for price negotiations with suppliers.